I have now been breastfeeding little Henry for two weeks and it has been a completely different experience to when I fed Darcie, it is seemingly going well (more on that in another post). I have been doing a lot of research to find ways to boost my supply, something I struggled with last time and what you eat can really effect supply. 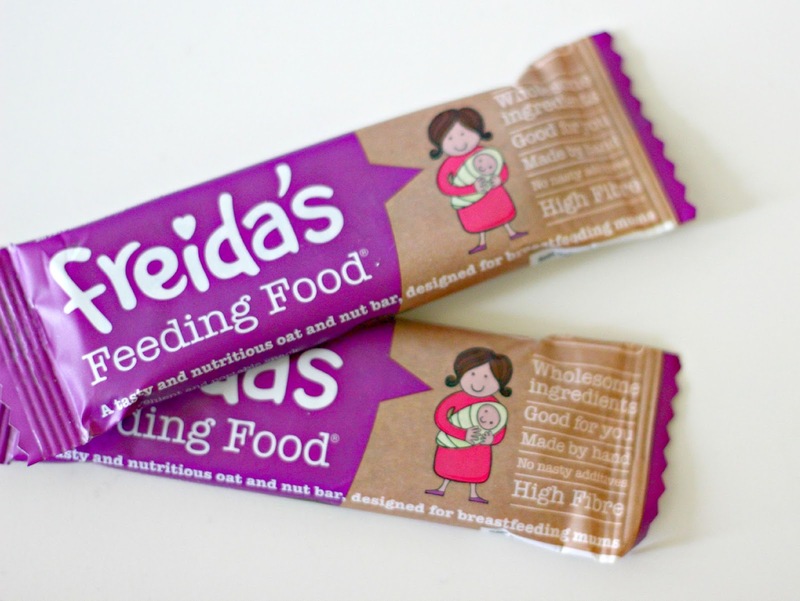 I was kindly given the opportunity to review Freida's Feeding Food, a oat and nut bar designed for breast feeding mothers. Oats are well known for helping to increase supply and they are something that I have been having almost everyday. I have made my own flapjacks, ate porridge most mornings but one thing I struggle with is when I'm out and about. Enter Freida's Feeding Food , it is the perfect snack for on the go and offers a fantastic energy boost too. Freida's Feeding Food is a much healthier option to things such as lactation cookies, they don't add flavourings, colourings, toppings or anything non-nutritious. They even include fennel seed which is supposed to have soothing properties to help stop upset tummies in babies. 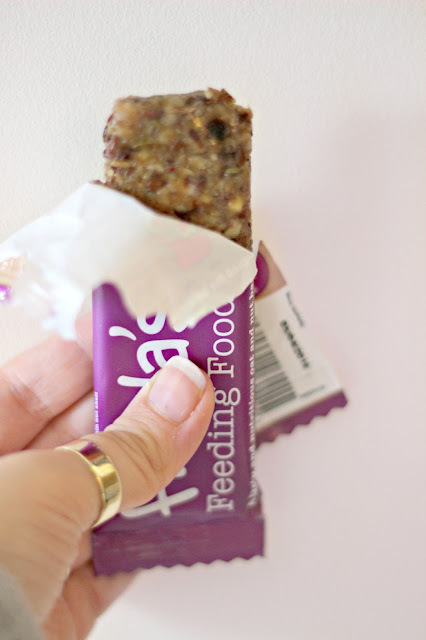 The recipe is widely used in the eastern world to help new mums recover after birth (so you don't have to be breastfeeding to enjoy and reap the benefits of these bars), as it contains Omega 3 and Omega 6 which are good fats for baby and you. I really love the concept of these bars and think that anything that can help aid mothers to breastfeed successfully is a good thing. It's great that these can be popped into your changing bag for on the go snacking for busy mums who feel like they are on the go non-stop (that's every mum right?!?!). These bars can be directly bought from their website or from stockists including Whole Foods & Ocado. What's your top tip for boosting milk supply?